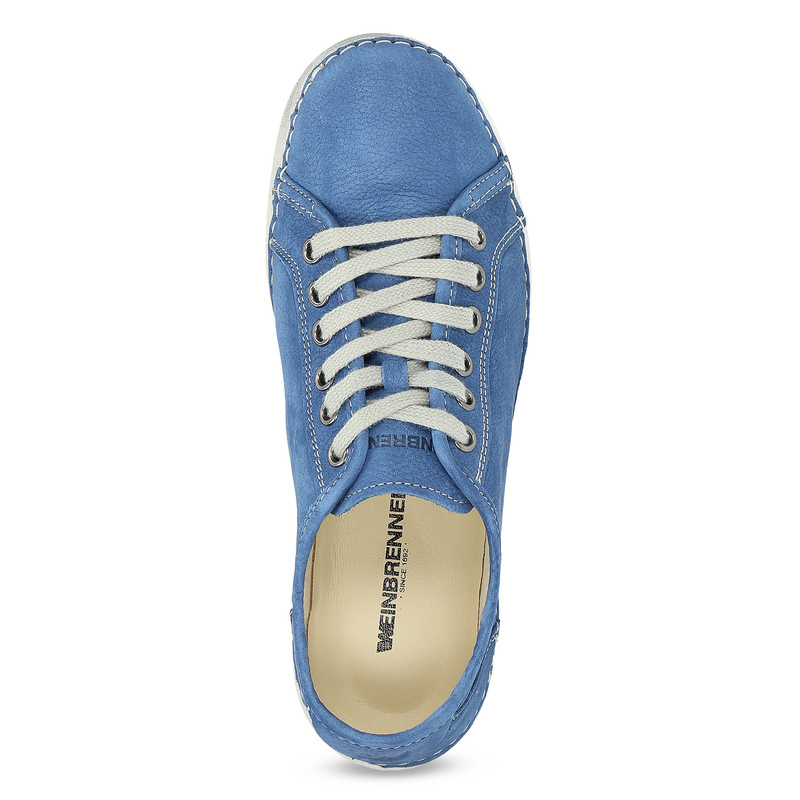 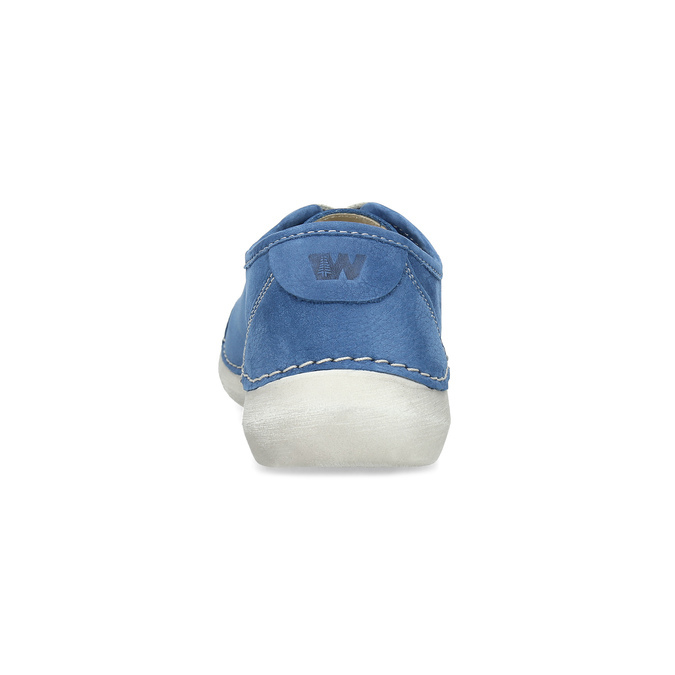 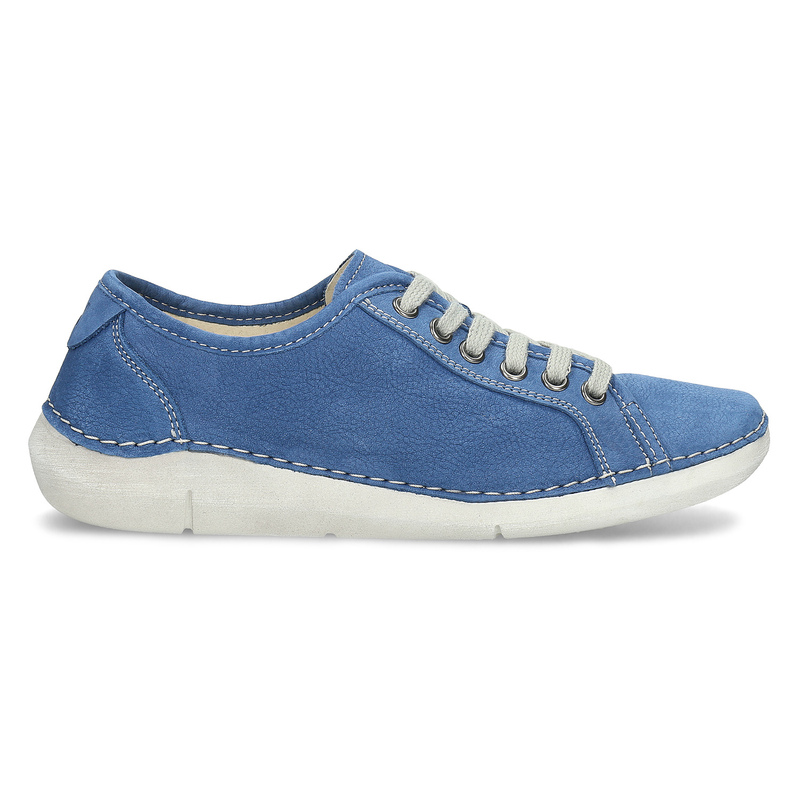 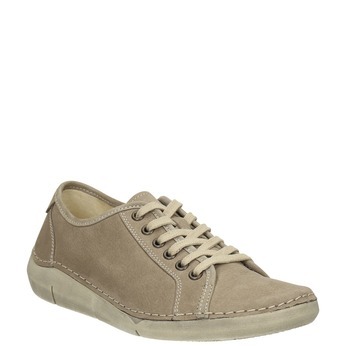 Ladies´ Weinbrenner shoes in a casual cut with a comfortable sole stitched to the upper. 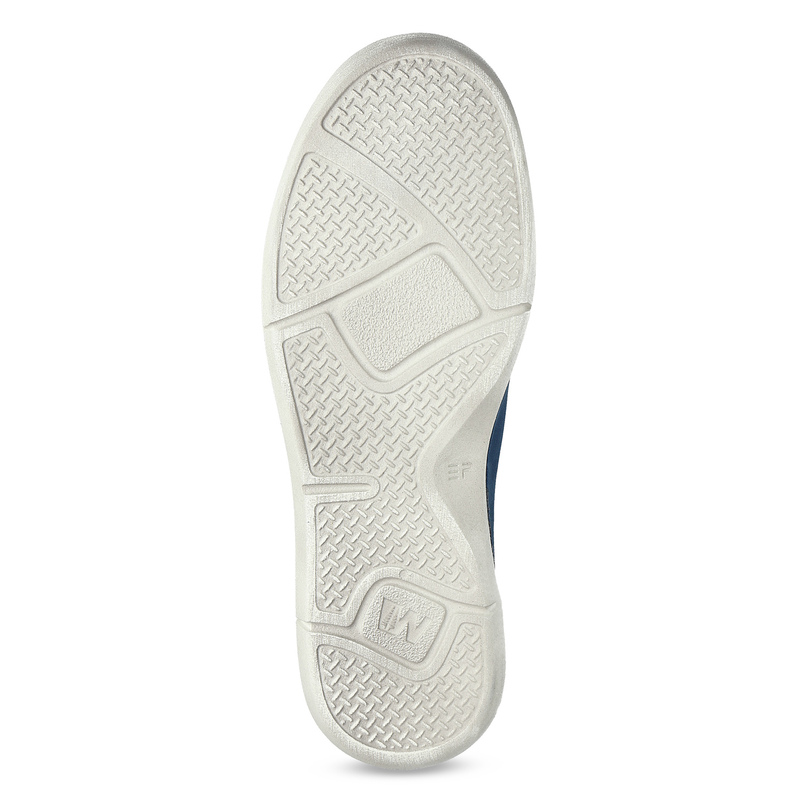 This is what makes them so flexible. The brushed leather in a blue shade is decorated with contrasting quilting. 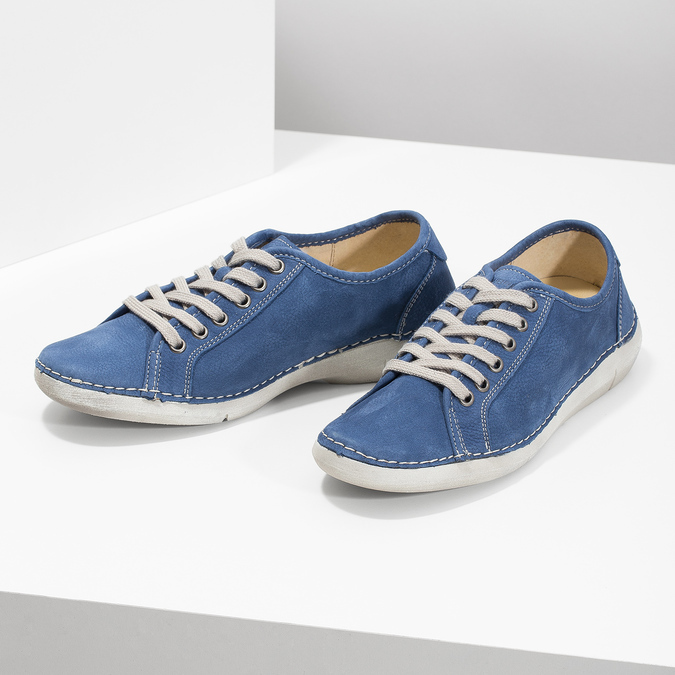 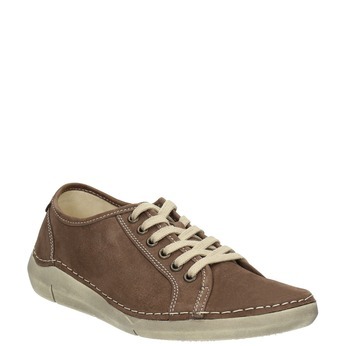 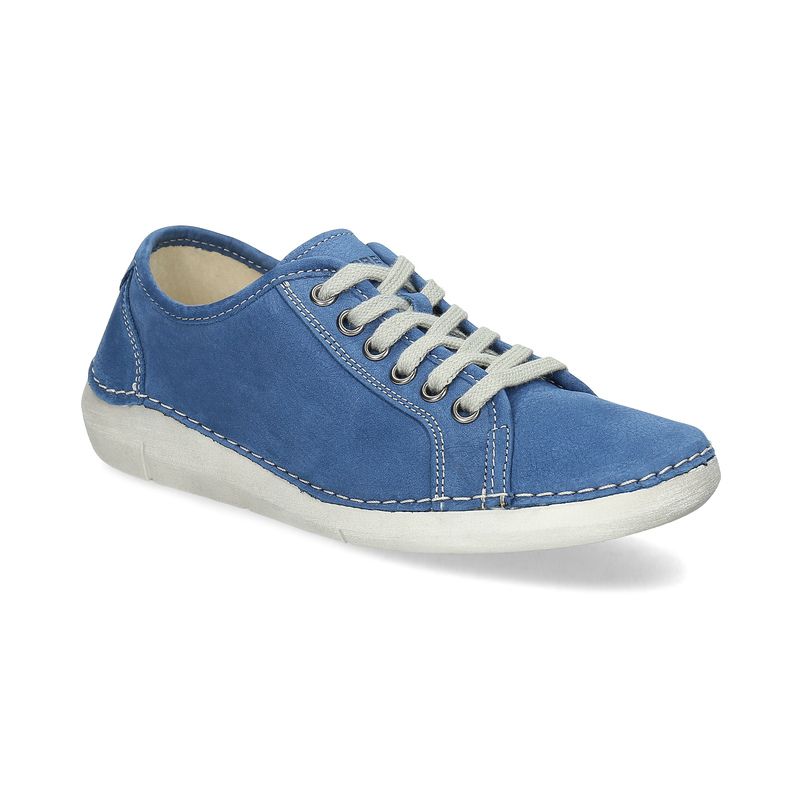 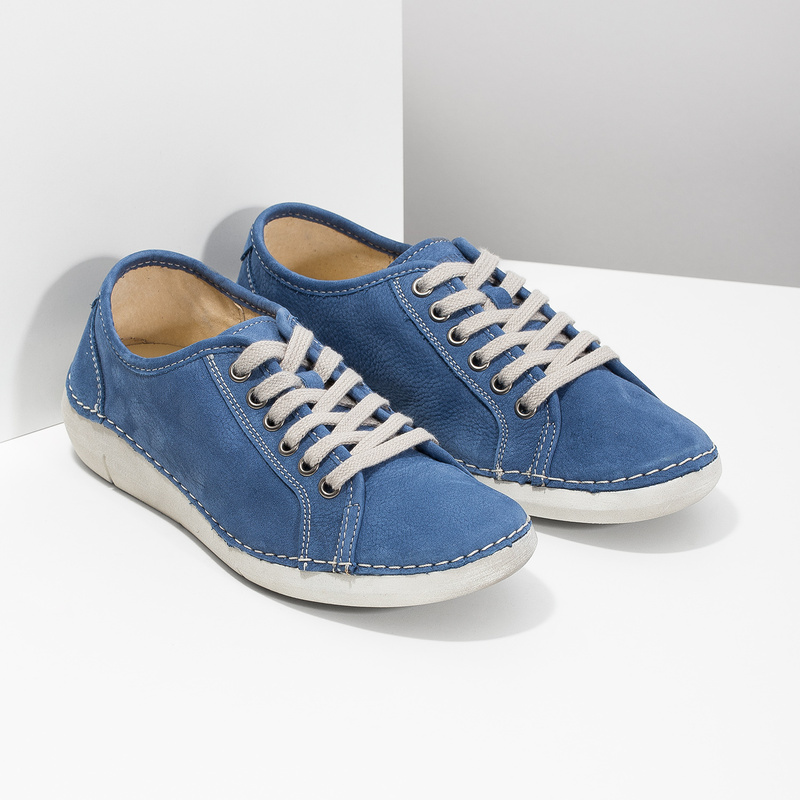 Wear them with jeans or Chinos to the office or downtown leisure activities. They are perfectly timeless!